This is Mr. Deng again to you. I am webbing and see that it say you will get the movie of you! Hi, you must be full of beans again! Everyone will want to watch that becase you are so hadsome and good and lucky. Hi, tell you my life is so boring these days. 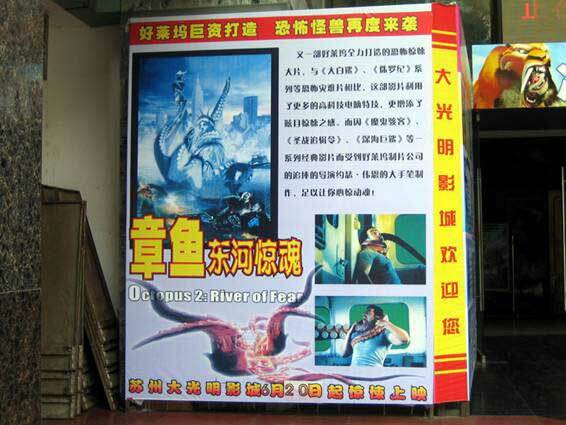 Only travel to Wuxi to promot the shoe at the 2006 shoe festival there. So I can only tell you the other news of this place. I have read one news that one guy in Kunshang near to Suzhou brought one lottery ticket and after when the lottery is out of valid which means one month later then he found he got first prize and he should get 5 million RMB dollars! But it was tooo late so he was so regreted himself and he try to kill himself ( I forgot that word su?) But then someone found him and saved him so he did not died. So I will buy a ticket and check it every day that is the most important thing to get the money! Also there was one funny story of the animal meat selling man here. There is one meat market in Suzhou that everyone know that place. There is many fly there in the summer becase the fly want to eat all the meat in that place. But there is one meat selling man that have no fly on his meat and everyone want to eat his meat because it is more clean. One man ask how he keep the fly from going on his meat and he show the asking man that he spray the fly poson on that meat! So the police catch that man becase many people died when they eat that meat from that man. It is so funny. Everyone laugh at my factory of that. I the photo for you here so you must looking now at that! 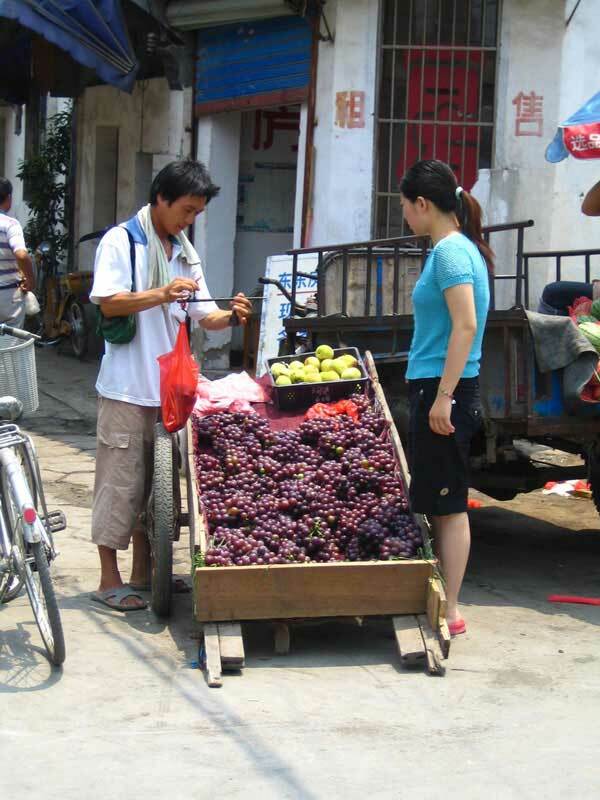 You can buy the Grape from this farmer. Some farmer is not so good so they try cheat you to give you less grape. You should always ciritize that kind of farmer. 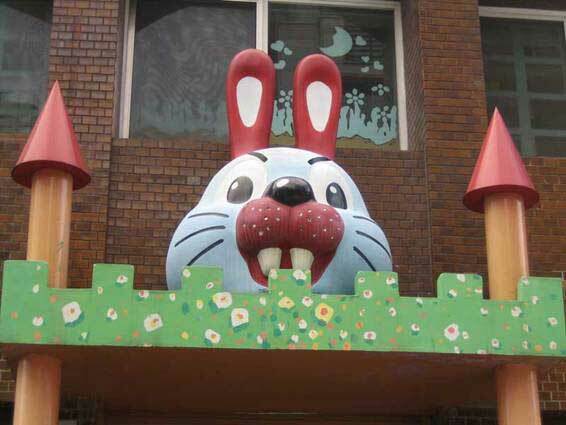 The baby of my sister is older now so we must take her to the Kindergarden to learn the english. 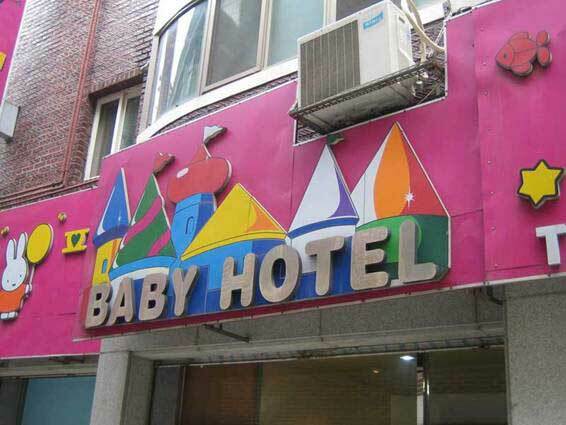 We look at many of those but this place is tooo spensive! This one is more cheaper. It is more simple inside and not so clean but it is more cheaper so we can use that one. On this restarant you can see the pig on that sine. 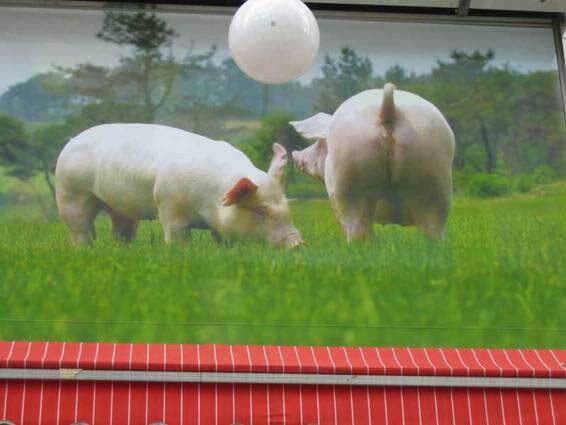 It is to tell the people they can eat only the pig in this restarant not the other kind of food. 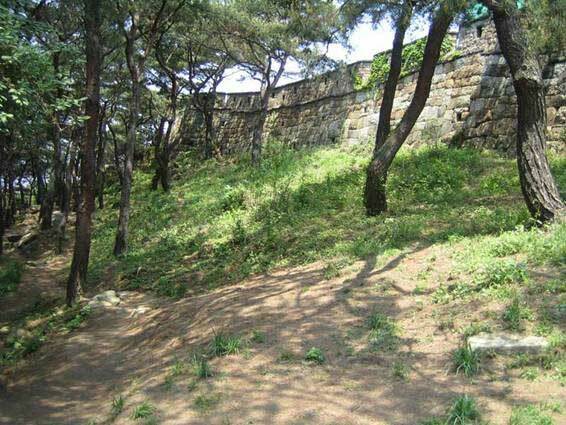 Then I walking round near to Panman Gate that is the wall of Suzhou city. The puller man is deliver the Refigerator to the house. 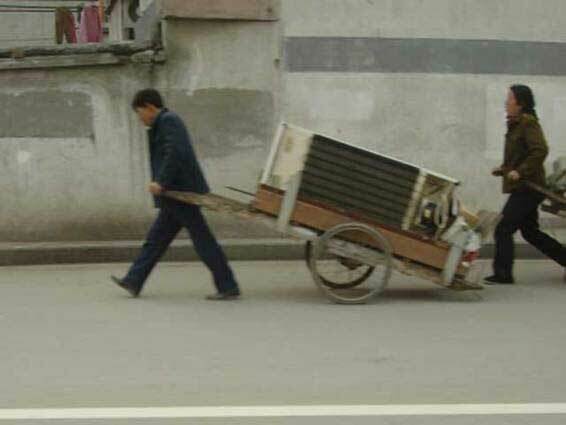 You can pay that man only 5 RMB and he will pull anything to somewhere inside Suzhou! 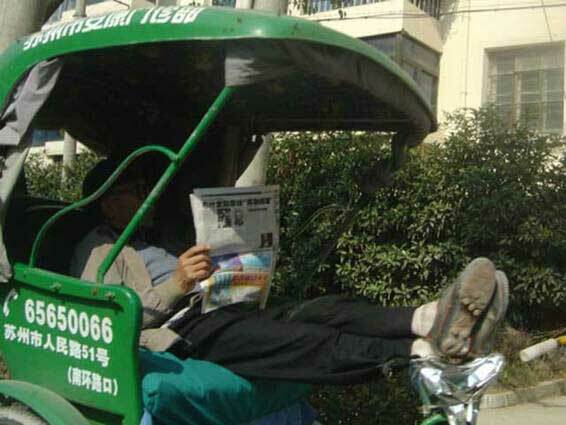 The bicycle taxi man is resting and read the newspaper. There days it is so hot. 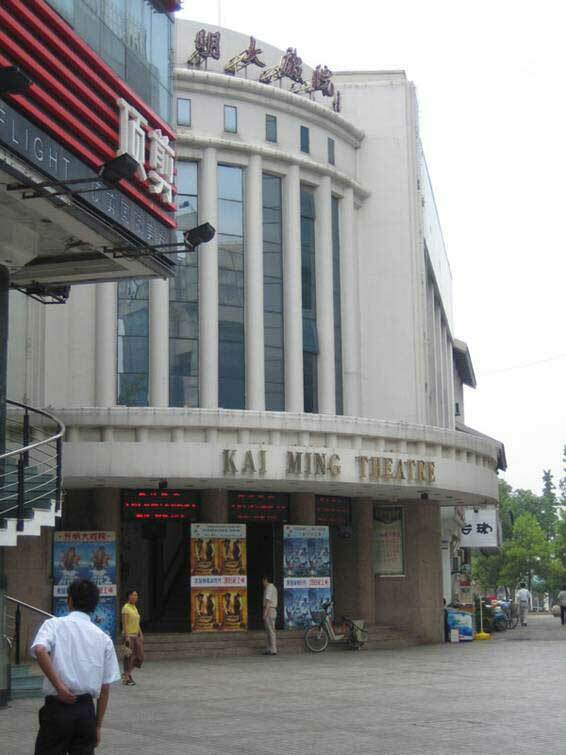 Here is one movie thetre in this place. You can watch the USA movie here! There is one USA movie about the Octopus! It is so scaresome! That funny USA man Mr. Bean is on that movie. 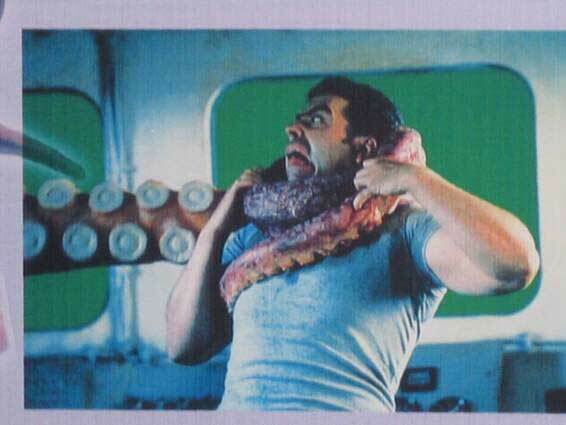 That Octpus try to kill that man! Hi, I mail to you one box. Please wait for that! I put the animal meat in that box so you can eat that!